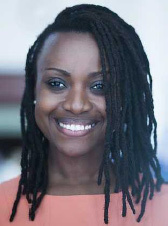 Nadia Nkwaya is research manager for Arterial Network. She holds a Master level degree in International Relations and a Master in Project Management for Development. Her areas of expertise are regional integration and performing arts in the African Great Lakes region with interests in cultural diplomacy, African Cultural heritage, its preservation, recognition and also the relation between culture, economy and peace building. Her main role is to maintain and build Arterial Network database, directory and research so as to broaden the reach, effectiveness and knowledge base of the Network. 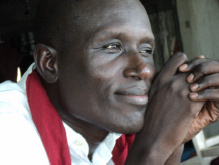 A writer and critic, Oumar Sall's interest lies in day­to­day sound and visual aesthetics, which nourish his projects. The mobility of his subjects within diverse spaces of definition and construction of the being lie at the heart of his work, which oscillates between writing, communications, audiovisual and amateur photography. Oumar lives and works in Dakar. Anne Lescot's path has taken many directions. Academic, from Outsider art to voodoo, geographic from Paris to Port­au­Prince via London and the Middle East, and professional, navigating between travelling, writing, directing and creating cultural projects. No doubt her Franco­Italo­Haitian origins have been instrumental in this roaming. After living essentially in France, she moved to Haiti from 1997 to 2002 and collaborated on the UNESCO Slave Route project. She worked for the Ministry of Culture Heritage Service, was involved in local art galleries, and set up an audiovisual production company, Digitallm. With Laurence Magloire, Anne Lescot directed Des hommes et des dieux, which brought to light the question of homosexuality in Haiti. On return to France, she co­founded the association Collectif 2004 Images, aimed at promoting contemporary Haitian culture. She coordinated A quoi rêve Haïti? for Africultures in 2004. Then, with the photographer Céline Anaya Gautier, organized the Sang, sucre et sueur seminar on the situation of Haitian migrants in the Dominican Republic and co­directed a radio documentary of the same title for France Culture in 2007. 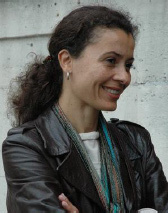 Later, she directed Horizons Lointains Haïti for ARTE, a documentary on Haitian literature, in the company of the Poivre d'Arvor brothers, and in 2010 published Le Guide de la Caraïbe Culturelle with Karole Gizolme (Editions Vents d'Ailleurs). 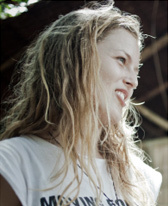 In 2013, she and the Fondation Culture Création organized the Les Rencontres du mécénat culturel in Port­au­Prince and published the work Repères pour le développement du mécénat et de la philanthropie en Haïti. 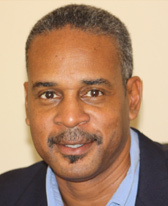 Wayne Sinclair is the Executive Director of GSW Animation Limited. He started his professional career as a financial analyst having received a Bachelors (BSc) and Masters Degrees in Business Administration (MBA) from the California State University at Dominguez Hills. In 1990 he turned his attention to his passion of music and has since had extensive experience in the area entertainment and media having worked in various capacities on several film and music productions both in Los Angeles and his native Jamaica. Having returned home to Jamaica in 1998, Mr. Sinclair continued to work in film and video production having served as the Location and/or Production Manager for several local and international feature film, commercial and music video shoots. In 2004, Mr. Sinclair and several partners started the Media, Sports and Entertainment Group, (MSE) which currently operates as a holding company with equity interests in local media, sports and entertainment properties. In this capacity, he is responsible for the strategic and commercial development of these properties. In providing management consultancy services, he has also served in an advisory capacity to the Jamaica Government and has authored that country’s Major Events and Attraction Program; the blueprint for Jamaica’s Creative Industries Events attraction and development policy. He has also provided consultancy for the European Union in his capacity as a thematic expert on music for the drafting of the Brussels Declaration by Cultural Artists, Professionals and Entrepreneurs. A volunteer at heart, Sarah has spent time with communities in West Africa, Thailand and Vanuatu working on rural development, education and youth­driven projects. Now based in Port Vila with the charitable association, Further Arts, she engages daily with urban and rural youth, communities, musicians, artists and performers to reinvigorate respect for and maintenance of indigenous cultural heritage through creative arts, while enacting positive social change through organising, participation and leadership. She is skilled in project management and monitoring, research, cross cultural communication, facilitation, as well as sharing and teaching multimedia and photography as accessible tools for people to express their stories. Deputy head of Africultures since March 2013. A graduate of the Bordeaux School of Journalism (1992), he considers his profession as being in touch with society and questioning the role and place of the individual in the social body. From 1998 to 2013, founding director and chief editor of a not­for­profit radio station in Rouen (Radio HDR) that broadcast in a working­class neighbourhood. In 2010, he set up NG Communication, a company destined to produce reports and in­depth analyses of contemporary issues. 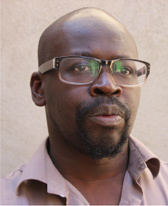 From 2002 to 2007, he worked for the Radio France group (France Bleu, France Culture, France Inter) and for Radio Okapi (a radio station in Democratic Republic of Congo, backed by the Fondation Hirondelle) on the role of the journalist, commentator and reporter. 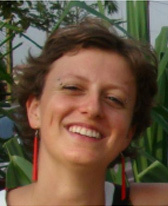 Maud de la Chapelle is head of the Southplanet project for Africultures. She is a graduate of the Political Sciences Institute of Grenoble (France). In the past, she worked for Afriscope, a free magazine held by Africultures, focused on African and Caribbean diasporas in France and on intercultural topics. Since 2006, she regularly collaborates with the Cameroonian organization Doual'art, which focuses on artistic practices in urban space in Douala (Cameroon). She also briefly collaborated with the Street Arts Federation of Ile­de­France region, in Paris (France), where she helped the organization of the conferences Mais que font les artistes? (But what do artists do?). She currently lives in Maputo, Mozambique. Southplanet is first and foremost a network, carried by partners from Africa to the Caribbean, the Pacific and Europe. The project's pilot committee is a reflection of this network. Comprised of seven members who represent both their geographic zone and the main organizations involved in Southplanet, its role is to evaluate the project, to report on progress made on the ground, to report on how the site is received in the different zones, and to guide the project's major decisions. Discussions are held once a month, and a written evaluation published every six months.